Following the European Union’s General Data Protection Regulation (GDPR) that will come into force on Friday, we are letting you know that your contact details are held in our databases. 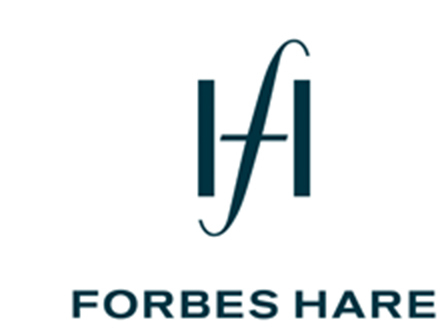 We value our connection with you, which is why we occasionally use this information to send you legal updates in areas which we think might be of interest, and invitations to Forbes Hare events. • If you no longer wish to receive any such communications from us in the future, please click on the unsubscribe link on the bottom left hand side of this message. • We have updated our Privacy Statement to meet the requirements of GDPR. This explains in further detail how Forbes Hare collects and processes your data and your rights in that regard. This does not affect any communications for current or future work that Forbes Hare (or any associated service company) does for you.